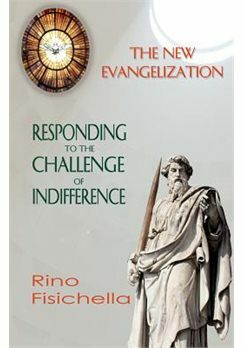 With The New Evangelization: Responding to the Challenge of Indifference (Australia: Gracewing, 2011), Archbishop Rino Fisichella, President of the Pontifical Council for Promoting the New Evangelization, has written an important book for all professional ministers, especially bishops, priests, lay ecclesial ministers in catechetics, and those fostering the New Evangelization. The importance of this book stems from the way he lays out the issues involved in the framing of the New Evangelization. A theologian and scholar, Archbishop Fisichella has served in a variety of Vatican commissions relating to culture and life. This background shows in the ten essays that compose this book. The chapters, except for the ninth chapter that addresses about the meaning of Antonio Gaudi’s church of the Sagrada Familia in Barcelona, speak at a high level of thought and argument. Fisichella aims to look at contemporary society in its isolation from faith, God, and the living tradition, pointing out the costs as he elaborates his arguments. He describes over several pages how secularization became secularism, which involves a doctrine of autonomy, a separation from both religion and contemplation. This leads to a “kenetic need” for new experiences, for claims of individual liberty, for narcissism and individualism, all of which make genuine relationships almost impossible. He argues, on the other hand, for a more integrated notion of society in which culture, law, and religion reinforce and support each other—something that the European Union has resisted in the writing of its constitution. He believes that Catholicism provides the continuity of values that society needs, and that we out to be assertive in this role. Sketching the philosophical and cultural limitation that beset much of the modern world (“the West”), Fisichella sets out a noble and difficult objective: “In short, we have the task of producing a way of thinking which will lay the foundations for an age which will provide culture to future generations, allowing them to live in genuine freedom because they will be orientated towards the truth (p. 46).” In other words, Christians need to develop a culture that provides an alternative to the bleaker aspects of contemporary perspectives, and to do so without running away from the modern world itself. He points out, for example, how faith is not an enemy of science, and how the Catholic faith in particular has valued reason. This line of thinking comes to its climax when Fisichella talks about a new humanism that believers can articulate. “To re-create this humanism is the task which stands before all of us and its realization cannot be achieved in a way which is unilateral. We Catholics…have the destiny of peoples and of individuals because our history has made us ‘experts in humanity (p. 94).’” Beauty is particularly a part of the outline of this new humanism, because of the way it links us to the truth about ourselves, creation, and the creator. He quotes the writings of Blessed John Paul II and Benedict XVI, particularly as they support his vision of a restatement of humanism from a Catholic perspective that can save contemporary society from its worst distortions. While some readers may not make as dismal an assessment of the modern world as Fisichella does, all readers will be challenged by the sweep and scope of the proposal. In this way, the New Evangelization will not be any isolated strategy or program; indeed, in this author’s view, it will involve a philosophical and theological re-envisioning of contemporary life from the perspective of the Incarnation and the broad range of our Catholic tradition.